Description: This is a map showing the distribution of the Dipholis salicifolia or willow bustic in Florida. "S. Florida incl. 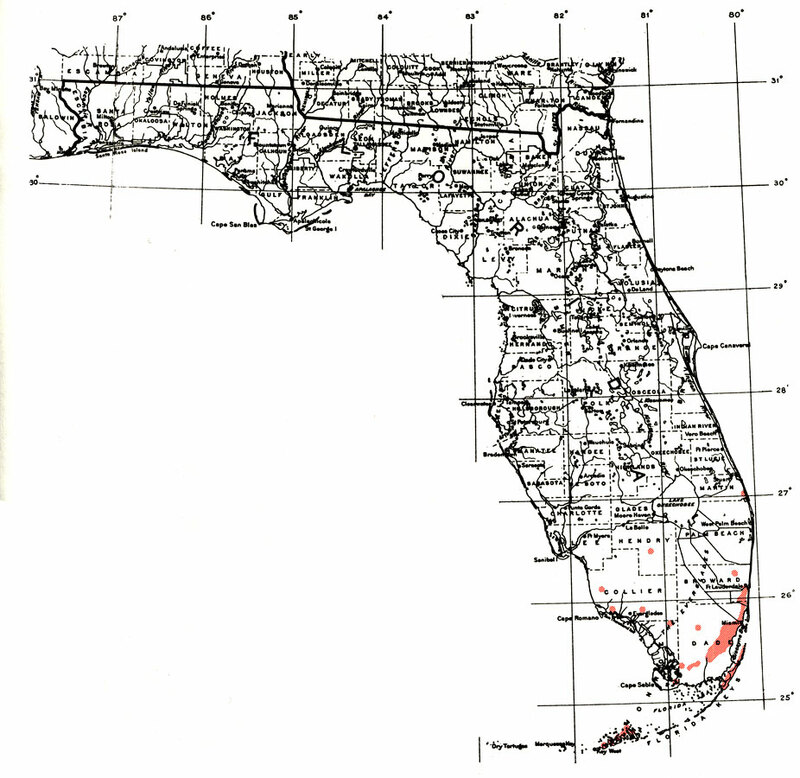 Florida Keys (n. locally to Martin, Hendry and Collier Cos.). From Bahamas through West Indies incl. Puerto Rico and Virgin Is. Also from s. Mexico s. to Belize and Guatemala." —Elbert L. Little, Jr. For more information, read the introduction to the Atlas of United States Trees Vol. 5 Florida.